Developed between 2000 and 2004 by US Home (Lennar), Cedar Hammock is a Naples Florida bundled golf community featuring an 18 hole championship golf course designed by Gordon Lewis. An ideal South Naples location, Cedar Hammock is a gated with a 24-hour attended guardhouse and set on 400 acres, over half of which is lakes and preserves. Cedar Hammock was The beautifully built single-family homes feature stunning views of the golf course and nature preserves. Floor plans are spacious and sized perfectly to accommodate a family. Attached villas offer floor plans ranging from 1,680 to 2,300 square feet, enjoy the size of a single-family home with attached, two-car garages, screened lanais, and much more. And these homes boast incredible views of the golf course and preserves. The Verandas are luxurious condominiums offering floor plans that vary from 1,400 to more than 1,800 sq.ft of living space. They include spacious, screened lanais, covered parking, and extra exterior storage, just some of the features offered with these units. The Terrace offers similarly sized floor plans are available with views of the golf course and natural landscaping of the preserves. They feature covered carports and elevators for access to the higher floors. 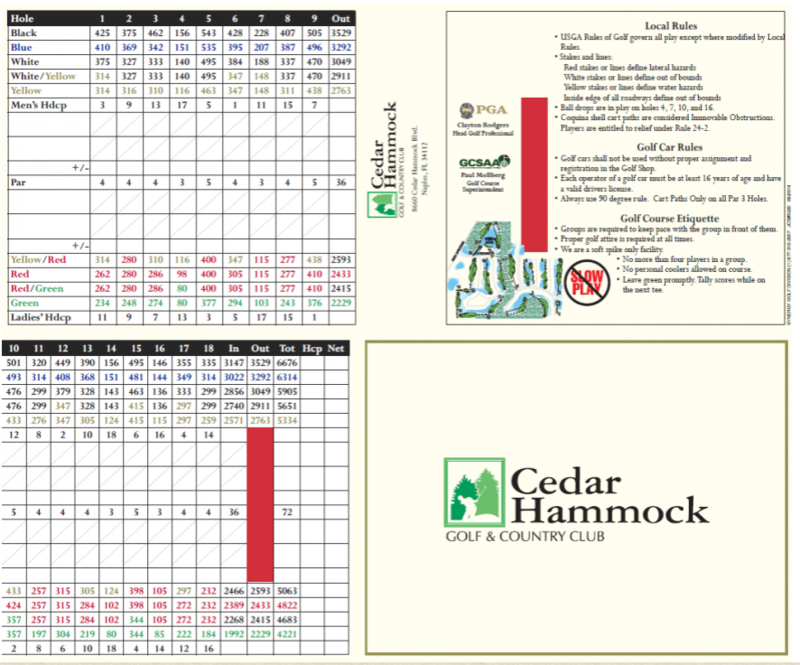 When you buy a home in Cedar Hammock, the country club membership is included. No cost to join. The championship golf course is a stunning example of the architectural creativity and ingenuity of revered course designers Jed Azinger and Gordon Lewis. The course offers five sets of tees and the fast-putting greens are Ultra dwarf TifEagle grass. The yardage varies between the tee boxes and provides an experience that is unique for players of all skill levels. Additional amenities include four Har-Tru tennis courts, four community pools, and aqua driving range and a 20,000 square-foot clubhouse. The clubhouse features a fitness center, restaurant that offers fine and casual dining, locker rooms, and pro shop. For additional Cedar Hammock information, please complete the form below! I or one of my team members will respond to you within one business day.